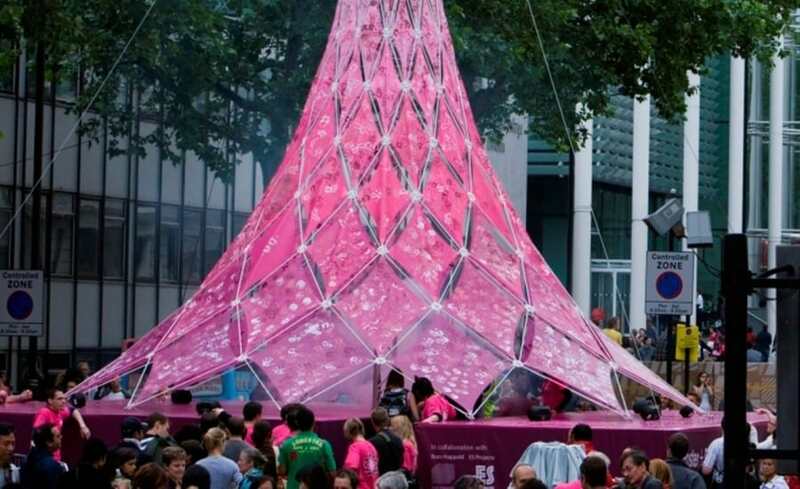 To mark the launch of the London Festival of Architecture 2008, Fosters and Partners and Edwin Shirley Staging approached Architen Landrell to help them create an eye catching and interactive structure! 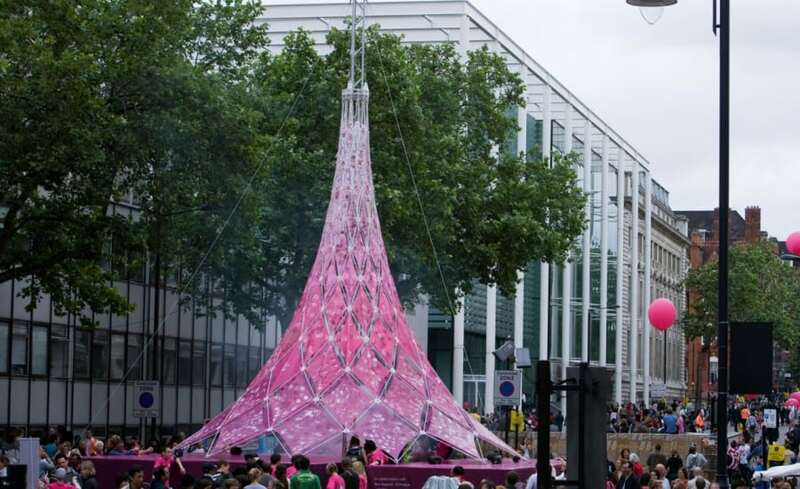 Located on Exhibition Road for one day only, the bright pink structure was conceived by Fosters and Partners to be an interactive installation which encouraged the public to think about and engage in architecture. 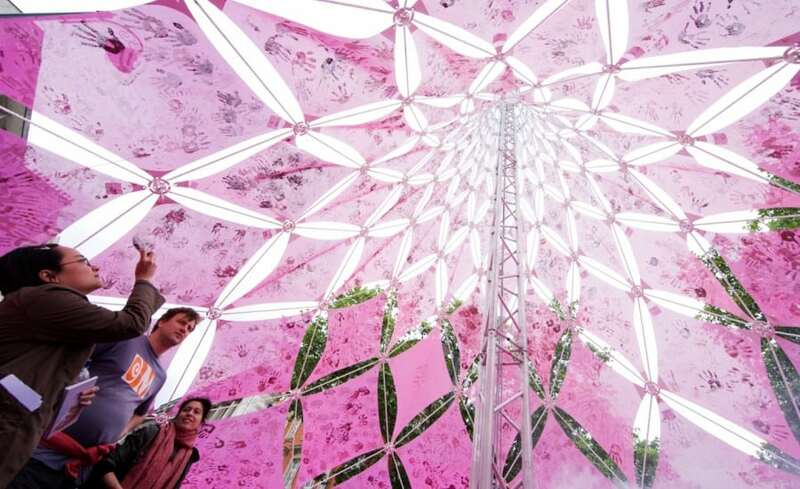 The conic shaped, sculptural canopy was created entirely from fabric panels which were manufactured by Architen Landrell in a PVC coated polyester mesh and printed in shades of pink by MediaCo . 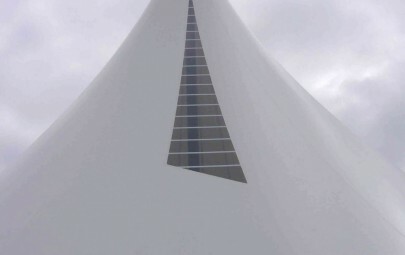 Erected in the early hours of the morning, the structure was only half raised by the Edwin Shirley site crew before the site was opened. 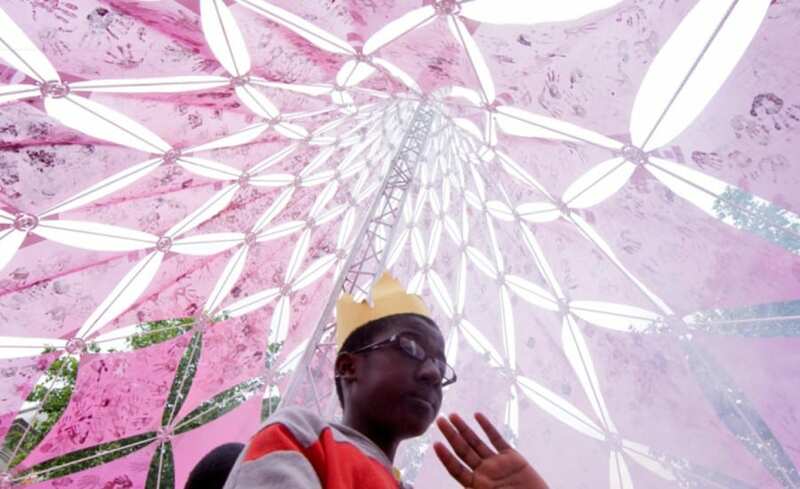 Once open, the public were invited to participate in creating the sculpture by printing hand prints in shades of pink and white on the panels. 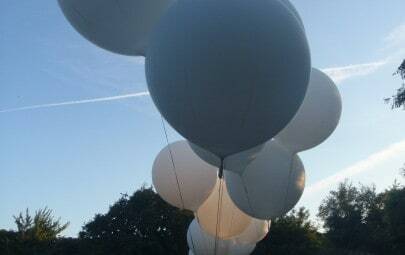 These were then fixed onto the cable net structure and raised later in the day! Stretching 10m in the air, the structure was open at the bottom to allow the public to walk underneath and experience the structure from another angle. 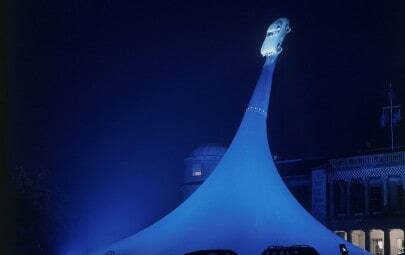 Additionally, artist Bill Fontana incorporated a site-specific sound sculpture to add another dimension to the experience.